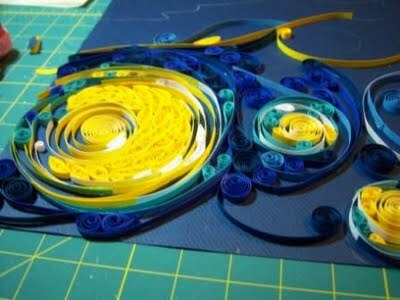 Remember paper quilling that picture of a parrot in elementary school art class, and how when you found it years later in the attic, you thought it was kind of cool, but you’d never spend so much time meticulously rolling and placing bits of paper ever again? 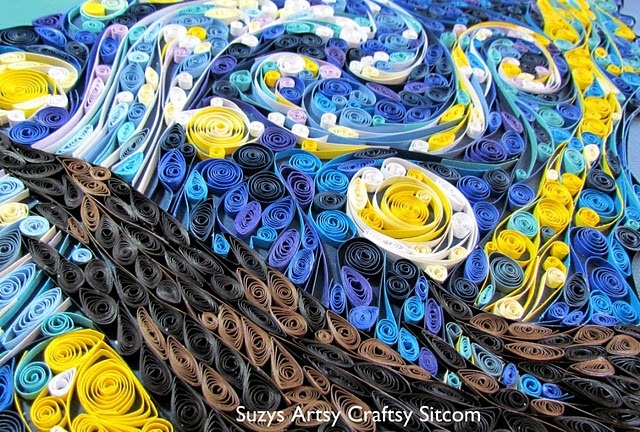 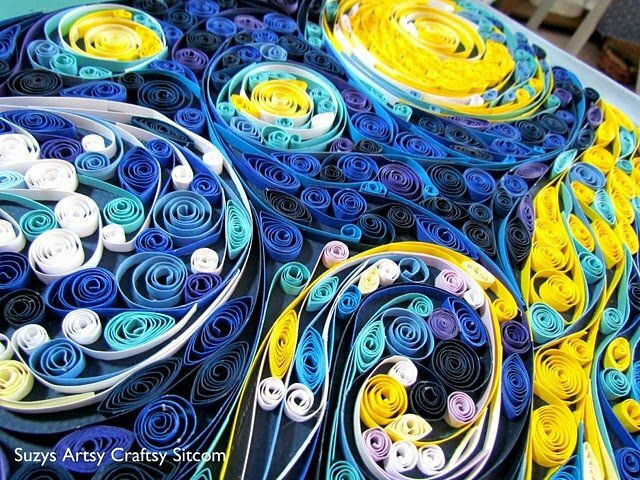 Well, maybe artist Susan Myers’ gorgeous paper quilled recreation of Van Gogh’s Starry Night will get your quilling juices flowing. 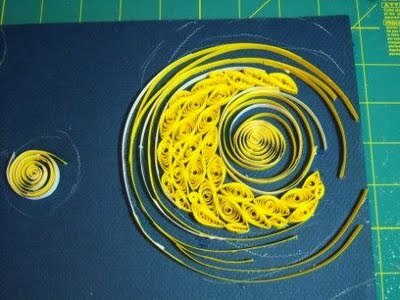 Or maybe you’d just like to stick with your bacon art.